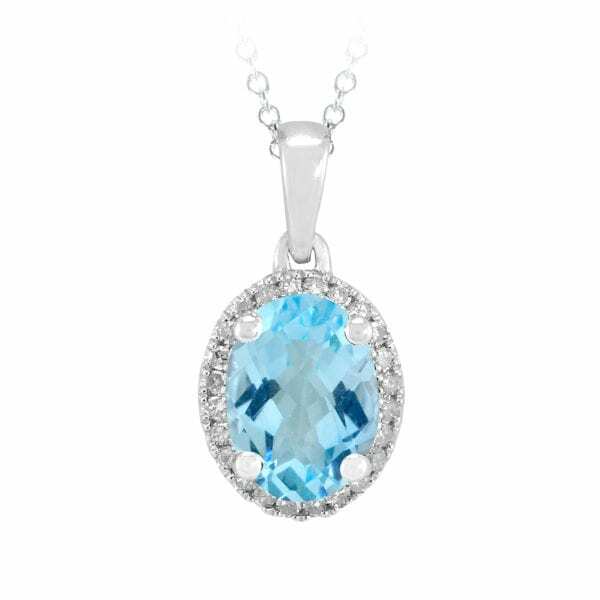 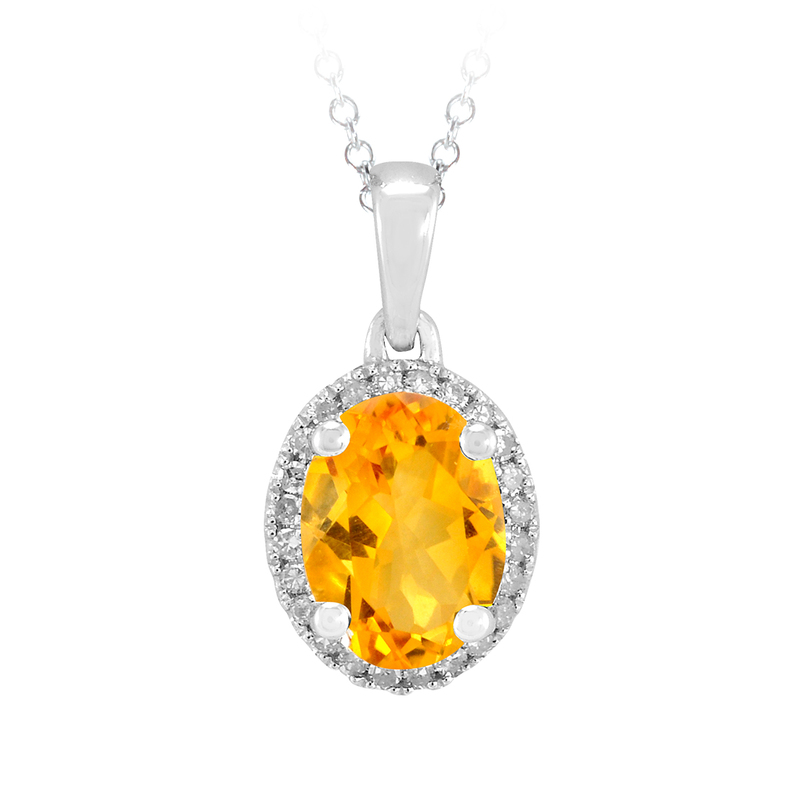 14 karat created oval gemstone and diamond pendant with 18 inch 10 karat white gold chain. 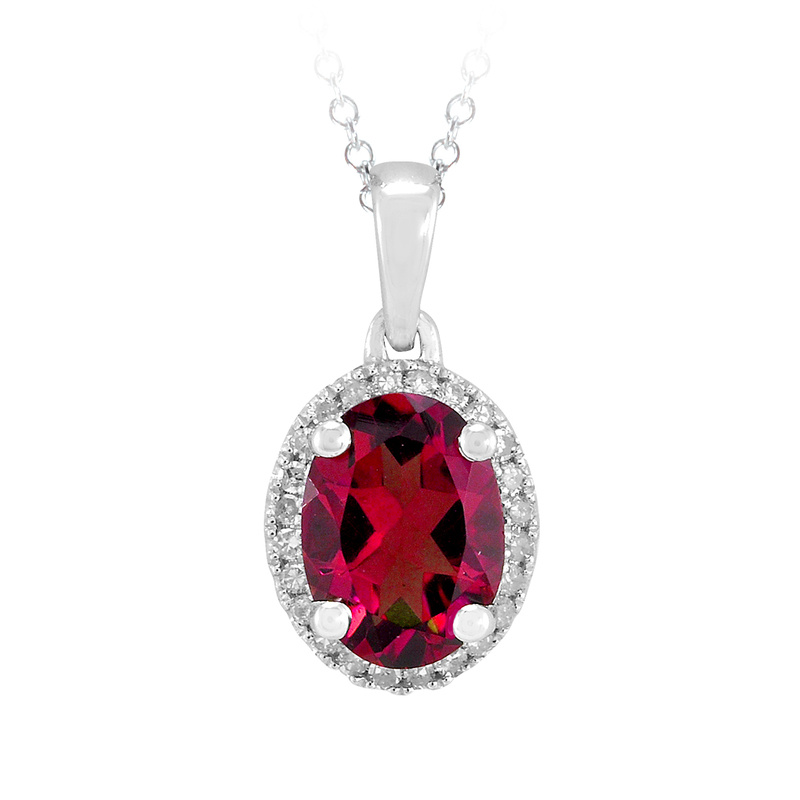 Available with sapphire, citrine, blue topaz, emerald, amethyst, and ruby. I am requesting information for Gemstone and Diamond Pendant.